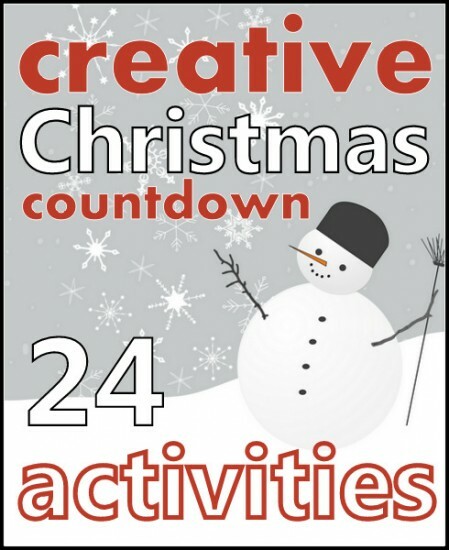 I hope you have been following along with the Creative Christmas Countdown hosted by Creative with Kids and Red Ted Art - it has been amazing! Today, it is our turn to share on the countdown. Last year, I shared our Gingerbread Houses on the countdown and the valuable lesson I learned from the whole activity. Psst, this year I went straight for the pre-made kit and it was fabulous. 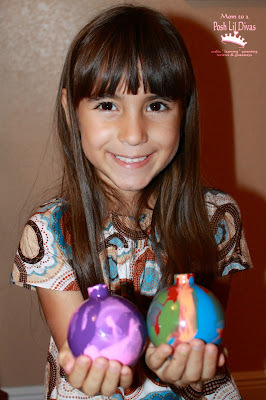 This year, I asked the Lil Divas what they wanted to contribute and they knew they wanted to make ornaments. Making homemade holiday ornaments is one of our favorite activities to do together during advent. 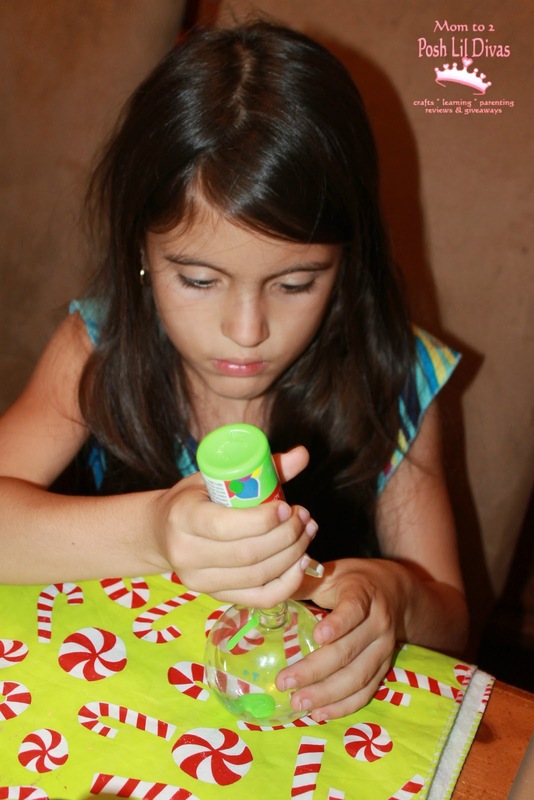 Having already made salt dough ornaments, cinnamon apple sauce ornaments, bead ornaments and craft stick ornaments we wanted to try something different. I have a few boxes of old clear ball ornaments that I have been saving for the last few years and I wanted to find a way to reuse them versus giving in to my husband and finally throwing them away for not using them. I wanted to make fun snowmen ornaments out of them using glitter, white sparkles and epsom salt for the inside but the Lil Divas nixed my idea. They wanted to paint the ornaments themselves. We started trying to paint the outside of the ornament but it was messy, hard for the Lil Divas to handle and would take a long time to dry. 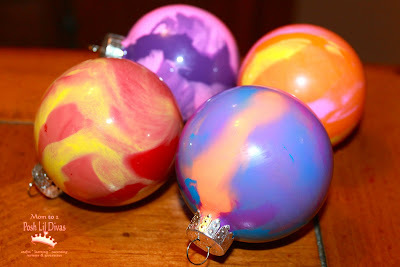 So we decided to add paint to the inside of the ornaments. 1. Remove the top from your ornament to reveal its opening. 2. 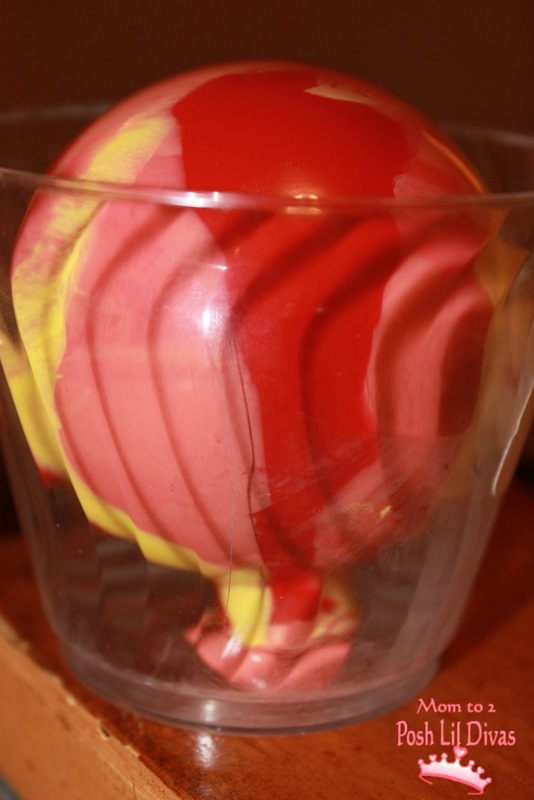 Pick 2-3 colors of acrylic paint to use in the ball. Pour some of each paint color you chose inside the ornament. The Lil Divas were pretty liberal with their paint pouring and we had quite a bit of excess. 3. 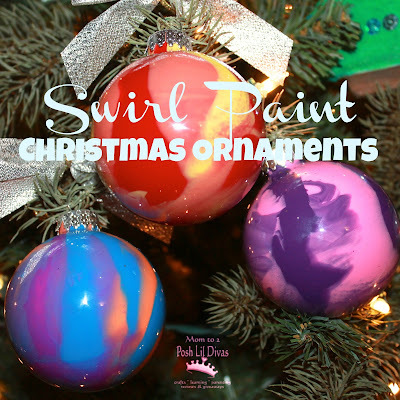 Put your thumb over the top and gently swirl the paint around inside the ornament until the ornament is completely coated in paint. 5. 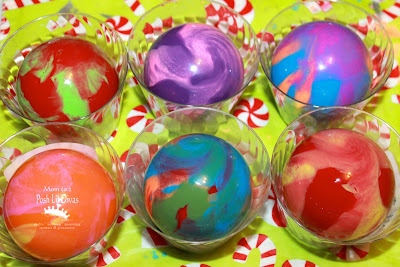 Once they are dry go ahead and ooh & ahh over your gorgeous ornaments. 6. Hang on your tree and enjoy! 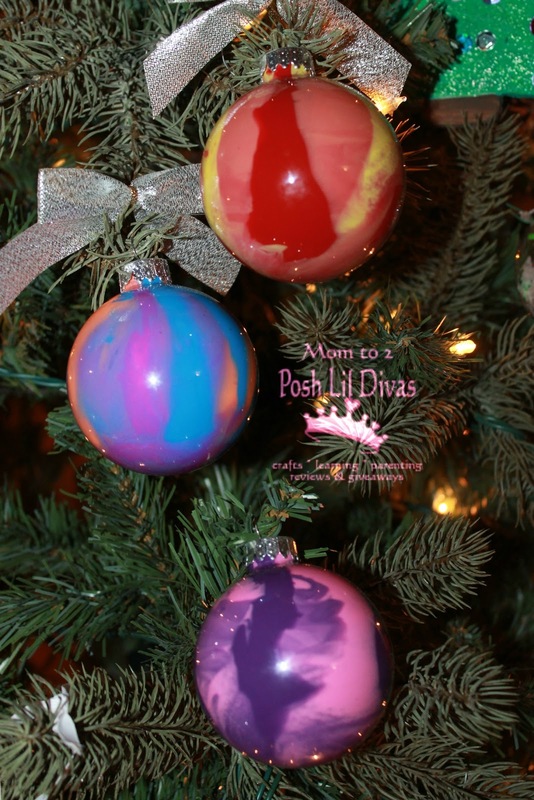 These really add a colorful punch to your tree and would make great gifts. 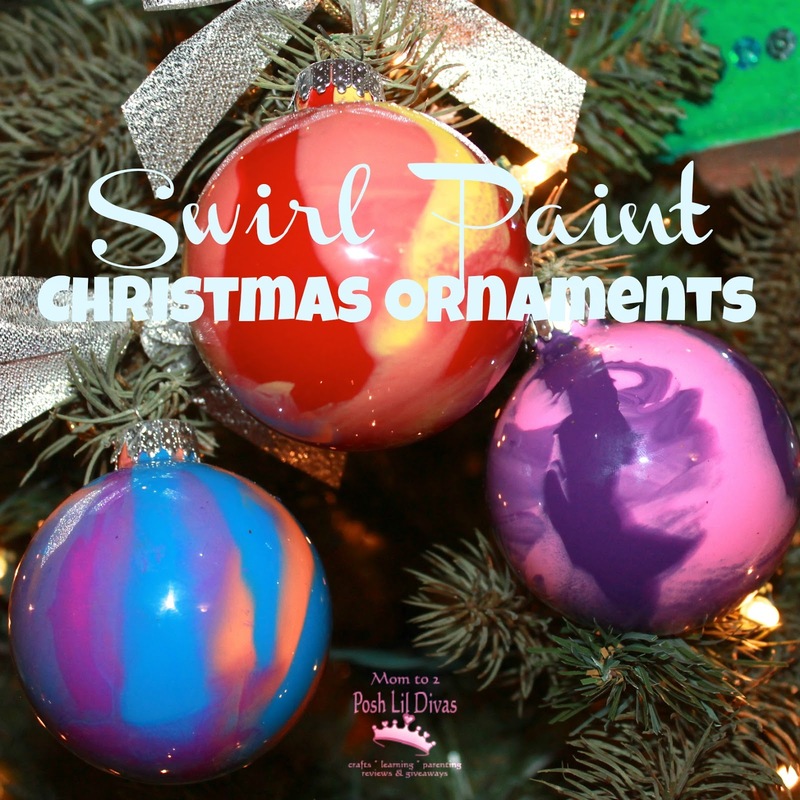 Have you tried painting your old ornaments? Have you made a homemade ornament this year? I'd love for you to share with me. 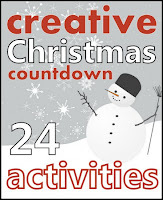 Be sure to follow along on the last few days of the Creative Christmas Countdown. We're almost there! These look gorgeous! And such fun!! We made those this year, too. They are a fantastic project, aren't they? Merry Christmas! Phyllis so easy & they turn out so wonderfully! Happy holidays to you as well and thanks for stopping by. Ooooo! Gorgeous, simple and inexpensive! This is my kind of craft! Thanks for the super idea, Bern! These are so fun and turned out lovely! Will be sharing on my FB page. Ooh, these look lovely! 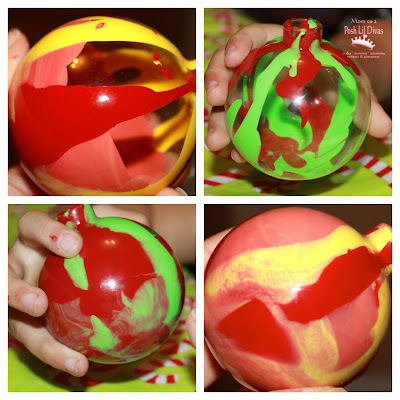 Bought the kids some clear plastic baubles to decorate this year - might just have to try this method! Jane - definitely give it a go. This was super easy and they look great on our tree. Love doing these every year but, it seems that everyone I have done the paint tend to separate inside when they have dried. Need some advise and help please. Any suggestions? Hmmm... I wonder if adding a coat of glue or varnish inside would help? Are you using acrylic paint? I don't think I have found this problem with those my children have done in the past. I hope to make them with my art students this year, and would like to make sure we are creating something that lasts. Are you using kids washable paints? I have found that when I have used the washable paint it tends to come off. I have also had trouble with the paint sticking. Mine has runs in it & you can see through the ball. I'm using folk are metallic paint. This is the second year of trying these with no luck so far. do you use a glass ornament or plastic? what paint is best? Did this tonight with my gs troop and they loved it! So easy too! thank you!